Vietnam veterans who served with the 31st Engineer Battalion held their biannual reunion in Las Vegas, NV. It was my honor and privilege to attend as the current battalion commander but also as a representative of Fort Leonard Wood and the Engineer Corps*. I decided before even getting on the plane that these men would be old timers, telling war stories – trying to relive their glory days. Sure, I might learn a little about my battalion’s lineage but this would probably end up being just a nice vacation for me and my wife. I couldn’t have been more wrong. Instead, I met a vibrant group of strong, relevant leaders active in their communities and government. Nearly all these men experienced tough, hard combat and many of them were wounded and yes, they did have some incredible stories. I am amazed how much their stories mirror mine albeit separated by 30 years and even more amazed how war, and only war, creates a lifelong unbreakable bond. In early 1968, the 31st Engineer Battalion was declared combat ready and cleared for overseas movement. The battalion’s equipment was delivered by rail to Beaumont, Texas for transport to Vietnam aboard cargo ships and the Soldiers were given a short leave to say farewell to family and loved ones. The trip to Vietnam took 22 days by sea aboard the Military Sea Transportation Service (MSTS) transport ship USNS Barrett. 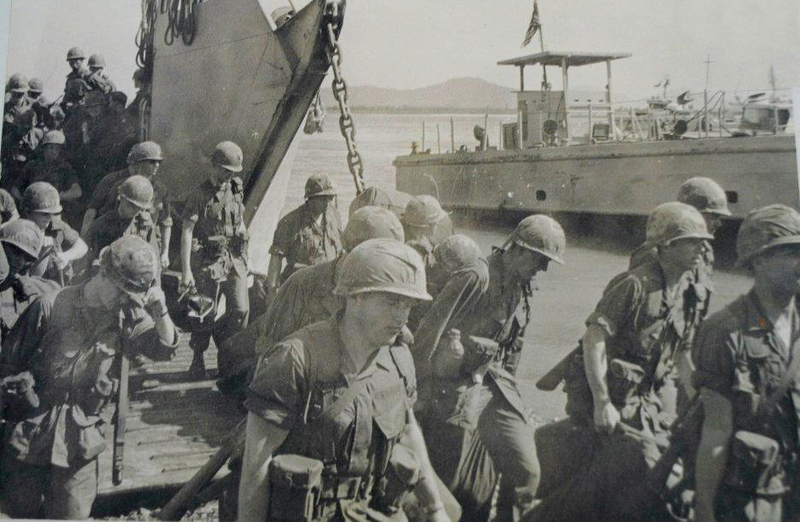 With one stop for water and fuel in Naha, Okinawa, the Barrett arrived at Vung Tau, Vietnam where the Soldiers were transported close to the beach aboard US Navy landing barges, then waded ashore. The Soldiers were then flown by C-130s to Blackhorse Base Camp near Xuan Loc where they provided engineer support to the 11th Armored Cavalry Regiment and III CTZ Airmobile units. Although our Nation has been at war for over 12 consecutive years and Soldiers now routinely have four or more combat deployments, I have yet to see a bond as strong as these men share. Whatever this bond is, it brings these heroes back together every two years. They laugh, tell stories, cry, and heal together. The stories shared are not of death and loss – they are funny and lack political correctness. As we laughed together, I could just make out a hint of pain or maybe fear behind the eyes of the long lost 18 year old boys sent far from home to fight a war they didn’t understand. I am still overcome by the gratitude these men and their families showed me for attending and for serving. These Soldiers who gave so much and were given so little by the country they love are some of the most generous, kind, proud, and resilient people I might ever meet. I am both inspired by their service and encouraged by their willingness to forgive. Being a part of this reunion will surely be one of the most important contributions I make during my time in command. * LTC Jason Railsback incurred no cost to the government, using personal funds to attend.